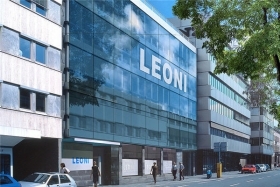 BERLIN/MUNICH -- German supplier Leoni will cut about 1,100 jobs this year at its division that makes cable harnesses and wiring systems for the auto industry and expects the retrenchments to boost annual earnings from 2017, the company said. Streamlining the division, which generates about 60 percent of company revenue, will marginally improve results this year before leading to a "sustained increase in profitability" starting in 2017, Leoni said on Thursday. A year ago, the supplier was dealing with a glut of orders at the onboard power supply division and hired thousands of workers on at a plant in Romania. Profit has been falling since, forcing the company to press ahead with cost-saving measures. Earnings before interest and tax (EBIT) may increase by about 30 million euros ($33 million) per year as a result of the reorganization, the company said. A spokesman told Reuters that job cuts in countries such as Germany, France, the UK, the U.S. and South Korea will add costs of about 25 million euros this year.